Feeling united with academic community reflects in increased responsibility for one’s own quality of work. This is the quality of carrying yearly BASEES Conferences in Cambridge that impresses participants coming from the academic environments in which procedure and scope of events are not really respected. Therefore, learning from this kind of experience is always useful. The most inspiring thing is hope that conferences of such a level someday will become a routine for Ukrainian scholars as well. The more so, because our post-Socialist experience is interesting in itself for our foreign colleagues, since the way which the scientific rationality makes under conditions of overcoming totalitarian repression and aiming at democratic freedom is currently important not for Ukrainians only. Under current conditions, the part of rationality in the dimension of freedom obtains a universal meaning, making the need of reconsidering the phenomena of freedom even more rapid. 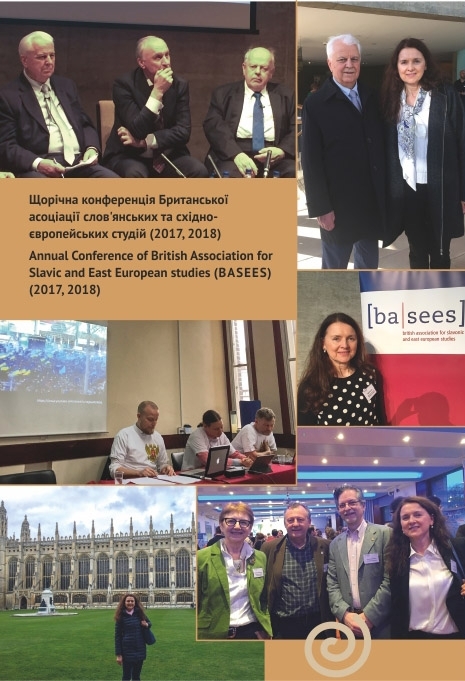 This article is intended to present to Ukrainian academic community some theoretical and organizational achievements of this year’s BASEES Conference and to engage Ukrainian scholars more actively to participate in international academic events and considering the ways of implementing the experience received into their activities home. This year the conference was dedicated to the fifty years of the Prague Spring. The experience of the Prague Spring in the reflections of the BASEES conference proves the relevance of the issues of freedom and the need to rethink the key concept of modern thinking – progress. The critique of progress that puts under the question the significance of the concept itself for contemporary socio-philosophical discourse is, in the main, directed against progressism as a modern mechanistic version of progress. The revealing of the complex and ambiguous forms of progress in contemporary epoch tends to accept rather than reject the progress. prof. dr. hab., Leading Researcher (The National Academy of Sciences of Ukraine, H. Skovoroda Institute of Philosophy, Department of Philosophy of Culture, Ethics, Aesthetics). Kultaieva M. (2009). Philosophical and anthropological substantiation of the culture of freedom and its educational implications (theoretical experience of the contemporary German philosophical thought). Filosofiya osvity. Philosophy of Education, 1-2 (8), 80-98. Gomilko O. E. (2016). Cardiac understanding in the presence of a university’s mightiness: Annual Conference [ba | sees] (April 2-4, 2016, Cambridge, UK), or about comfort beyond the «comfort zone». Filosofs’ka dumka, 3, 90-100. British association for Slavic and East European studies (2018). BASEES Annual Conference, 13–15 April 2018 Fitzwilliam College – Churchill College, Cambridge, United Kingdom, Routledge Taylor & Francis Group.